Mountain Lake Lodge, where the cult classic Dirty Dancing was filmed more than 30 years ago, has been named Hotel of the Year by the Virginia Restaurant, Lodging & Travel Association (VRLTA) which annually recognizes the best among Virginia's hospitality and tourism industry. In addition, Mountain Lake's General Manager, Heidi Stone, has been named Hotelier of the Year. Said Betty Massey, Executive Director of the Mary Moody Northen Endowment, the private foundation that owns the property, "Mountain Lake Lodge began its amazing turnaround seven years ago. 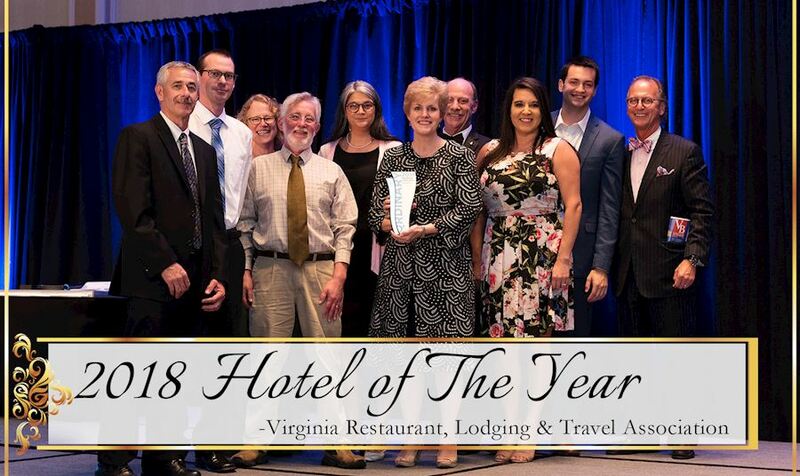 This is a real comeback story, where Heidi Stone and her hard-working team, along with the Mountain Lake Board of Directors, have transformed Mountain Lake to Virginia's Hotel of the Year." According to Board Member Bob Donovan, who nominated Stone for Hotelier of the Year, "Mountain Lake Lodge would not exist today if it weren't for Heidi Stone. When I first visited in 2011, it was rundown, empty, dying, stale and neglected. The Endowment was seriously considering closing the property and wasn't sure we could save this worn out gem. So we hired a true visionary whose tenacity, insight and passion not only saved Mountain Lake but transformed it into a thriving and very successful resort." The historic hotel, dubbed "The Miracle on the Mountain" after its extraordinary rebirth and multimillion-dollar renovation, successfully mixes modern amenities with nostalgia. The property attracts guests worldwide who come to experience special themed "Weekends at Kellermans". Here, they are immersed in activities inspired by the iconic movie, from guided tours of Dirty Dancing filming locations, to dance lessons and grand dance parties, lawn games, scavenger hunts and trivia, and a screening of the original film. Under Stone's leadership, occupancies have soared. With more than 100 staff, it hosts some 200 meetings, team-building events and weddings each year, and guests and corporate groups enjoy numerous recreational activities including the unique Treetops Adventures Aerial Ropes Course.